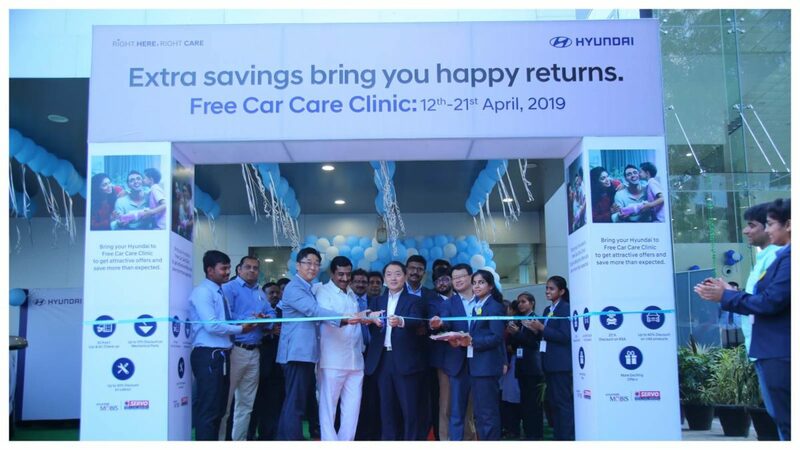 India’s second largest car manufacturer, Hyundai Motor has announced a Nationwide ‘Free Car Care Clinic’. In this program, Hyundai customers will be able to avail great benefits and special offers at over 1,300 Service Points across India. Last year more than 4,50,000 Customers were benefitted by this program. This nationwide program will be held from 12th to 21st April, at all Hyundai dealerships and service points across India. The Nationwide Free Car Care Clinic will offer customers a wide range of services and benefits which include huge discounts on parts & labour, Road Side Assistance, Retail Programs, VAS Products, etc. To make this a more fun and engaging activity, Hyundai will be offering attractive deals to its customers. For example, The “Family Sunday” deal includes an additional discount of 10% on Mechanical Labour if a family member’s birthday (Spouse/Kids/Parents) is there during this period. To avail this discount you can visit the workshop on Sunday during the FCCC program and produce a valid Date-of-Birth document. Hyundai has also decided to give an additional discount to any Indian Citizen who is a Hyundai customer to avail a discount of 10% on Mechanical Labour, by just showing the Election Ink Mark on their finger. 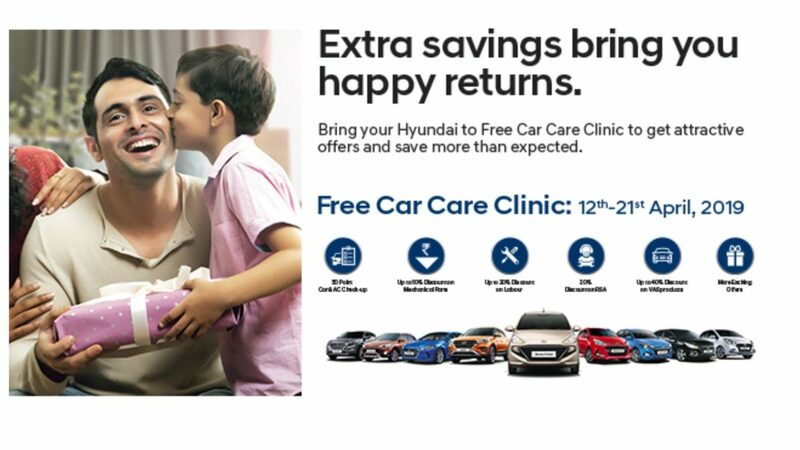 During the Free Car Care Clinic program, Hyundai Customers can avail a free 50-Point Car Check-up. The Customers can also avail up to 10% discount on Mechanical Parts, up to 30% discount on Mechanical Labour, up to 40% discount on Value Added Services, up to 20% off on Road Side Assistance, along with other exciting offers.